Hi! And a very happy Friday to you. Today I have a happy sunny card to share, one I made a while ago and never got round to posting. I made it with a load of paper scraps - love to use up the bits and pieces in my scrap drawer. :) It fits in with this month's Hero Arts contest theme: Sunshine and Showers. if you've not yet checked out the contest, the details are HERE. What an adorable little Girl! Gosh, I really miss those days and use to love taking my boys out for nice walks in the Spring!! Okay, I just picked my jaw up off the floor. This is beautiful Lucy! I love it! And your little girl is adorable. What a doll! Lily grows more beautiful with each photo you post. And that sunshine card says happy. Love it. Thanks for sharing. I thought the card was the cutest thing ever until I saw Little Miss Lily! 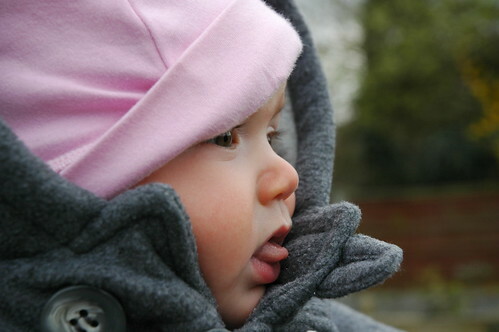 I love when you share your great pics of Lily. awwww.... this melts my heart! this is the first time that i have seen your baby. she is so cute. again, congrats and sorry for being a bad fan. i should have visited more often. it's always a treat to see your work, Lucy! 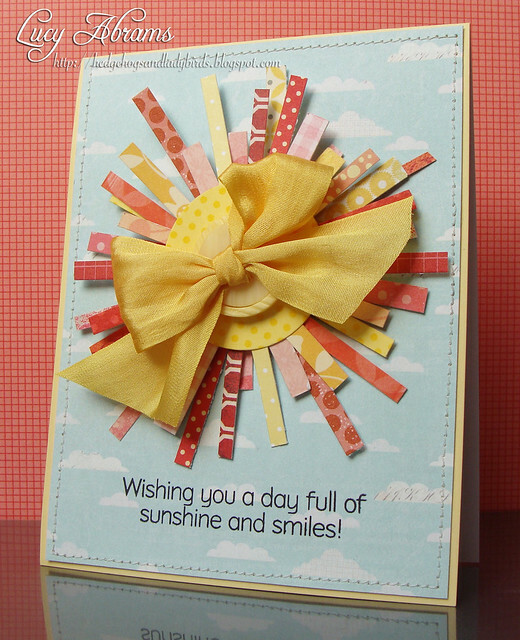 i adore your big sun, such a fun way to use scraps!